Elite’s rigorous and comprehensive pre-testing structure has ensured the seamless implementation of numerous new systems. The company’s experience in the pharmaceuticals sector is not unrelated, and brings relevant knowledge and familiarity with Food and Drugs Authority validation and S88 requirements. 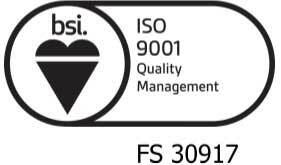 Elite’s experience in meeting the criteria of the IEC 61508 family of safety standards often proves to be an asset in this sector, where food safety and traceability issues are of growing importance.